Fancy seeing a medieval castle brimming with life? 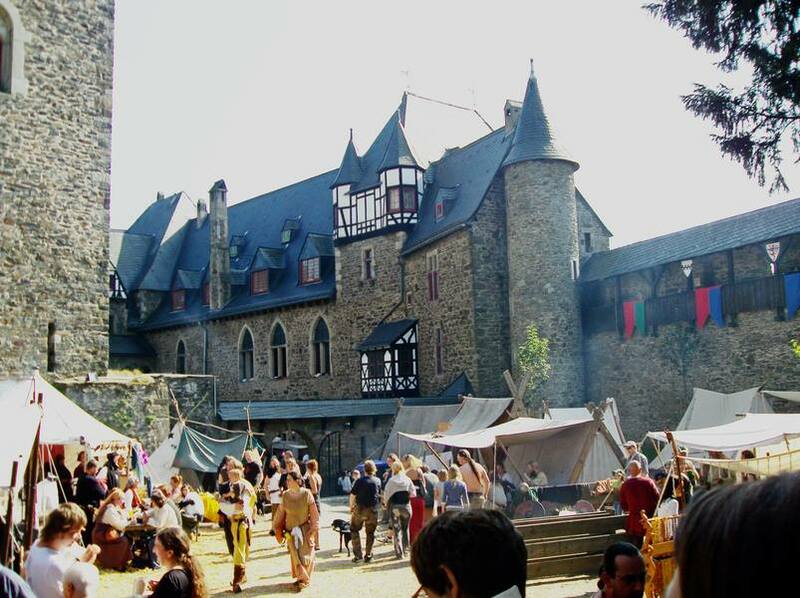 On Saturday the 24th of June, you’ll have the chance to join us on a trip to one of Germany’s many beautiful medieval fairs at the nearby Schloss Burg. 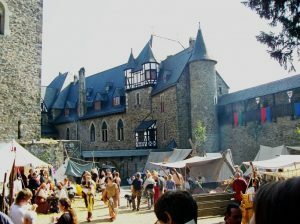 You will be able to see and walk around the impressive 12th century castle, which is one of the landmarks of the region, as you please, watch participants in costumes recreating medieval life within its walls, browse market stalls selling medieval style, handcrafted goods and enjoy some mead, wine or (surprise surprise!) beer at the tavern to relax. Meetup is at 12 at the Uni-Halle station. If that is too early for you (or your expected hangover from a friday night 😉 ), let me know and we may move it up a little. The fair goes all day and thus we’re pretty flexible with our time. I’ll be at the Stammtisch this and all following weeks with a list for all that are interested, but you can also message me directly if you can’t make it there.